*(Via theGrio) – Telling overweight women to stay at their current weight was more effective than asking them to lose weight, according to a Duke study out today. 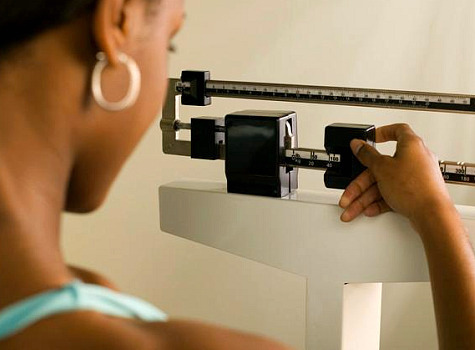 The study focused on nearly 200 overweight 25- to 44-year-old black women who received care from community health centers in North Carolina that serve predominately poor patients. Overweight is defined as body mass index, or BMI, of 25 to 29. Obese is BMI of 30 or higher. One group was given the typical standard of care from their primary doctors, including suggestions to lose weight and healthy lifestyle. The women in the other group were encouraged to prevent weight gain and were provided individual goals for diet using registered dietitians along with a YMCA membership and physical activity goals. At 12 months, more than half of those encouraged to lose weight actually gained weight, whereas only one-third of the other group did. Historically, weight loss programs are not as effective among black women compared to white women and men, says Gary Bennett, lead author of the study and director of obesity prevention at Duke University. Therefore, he says, his findings are promising. This article by Dr. Tyeese Gaines continues at theGrio. Weight loss programs are not as effective among black women compared to white women and men.It is too effective really. Weight maintenance and losing weight are 2 equally important and hard things. They go hand in hand. But what really sets you apart from others is, your diet program.